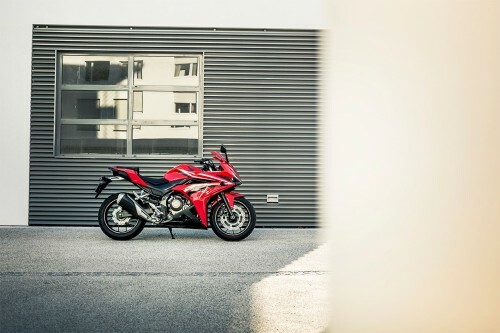 In conjunction with its global public debut at the American International Motorcycle Expo in Orlando, Florida, Honda Motor Europe has announced the arrival of the 2016 model year CBR500R. The bike still features the 471cc parallel twin of this year’s version but it get some aeshetic changes. 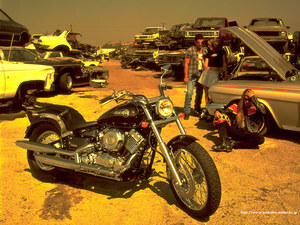 Other new features include adjustable pre-load for the front suspension, adjustable brake levers and a new ignition key. The 2015 CBR500R is a fairly good bike for the money. It’s a managable sports bike that was designed to maximise the 47hp regs while at the same time being affordable. This year’s CBR offers plenty of leg room, it has a smooth and torquey engine with a great gearbox and it’s reliable. On the other side, it looks less aggressive than other bikes in this category. Well, this one is about to change. Honda redesigned the front end and the fairing and it now looks edgier and more sporty despite having a more bulky fuel tank that’s a bit larger (4.1 US gal or 15.5 liter) than the one on the old model. In addition to the new face, other new features include adjustable pre-load for front suspension, new hinged fuel cap, adjustable brake levers, “wave” style ignition key and a new shorter exhaust muffler with internal structure tuned for a satisfying low, crisp exhaust note. 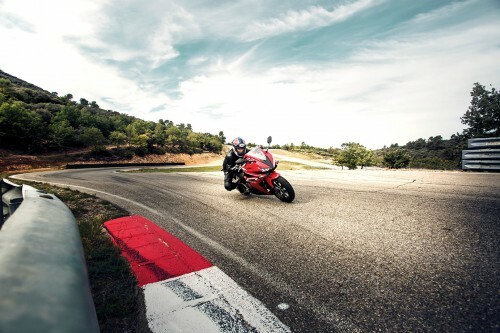 Despite its aggressive design, the CBR500R is A2-compliant so power has to stay under 47hp. Sadly, Honda didn’t release any other data. We guess that they will be close to this limit. 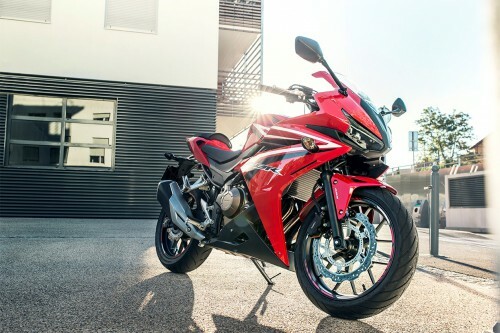 Honda has also yet to announce when the upgraded CBR500R will be in dealers, or at what price.